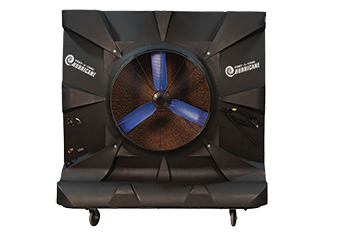 “The Middle East is a perfect fit for our environment-friendly and energy-efficient portable evaporative coolers and there is plenty of untapped demand,” says Bob Mangiaforte, vice-president of sales, Portacool. Portacool supplies units to cool work places in factories and warehouses across the region including to companies such as Kuwait Steel and Agility to ensure both worker productivity and safety. The company also sells to industrial clients, residential customers for use in villas as well as to restaurants. “Our partners continue to be instrumental in helping us in the region and are extremely knowledgeable and willing to serve our mutual customers with a world-class customer service. “The Middle East holds many opportunities for Portacool and we are actively looking to expand our presence through new distribution channels in areas where we want to bolster our operations to serve our customers. We have added new resources in Saudi Arabia, in particular, in order to bring our products to the kingdom to better serve our customers there,” he adds. Some of the highlights of 2014 included the appointment of Ben Wulf as CEO. In May, Switzerland-based Silvan Meier purchased the company and became the sole owner. Also in May, Portacool partnered with UPS to open a warehouse in Dubai, UAE, to better serve its customers in the Middle East and North Africa (Mena). October brought even more changes with the release of an ambitious five-year strategy for the company. He continues: “In conjunction with our branding initiative in 2015, we are also embarking on a product revitalisation project which, when completed, will introduce new products to new markets and continue our dominance as the premier cooling company in the world today. Product development is a constant focus for Portacool. From fall 2015 through Spring 2016, we plan to focus on developing our product lines to better serve our core customer base.